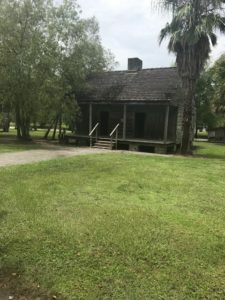 I had a chance to visit the Whitney Plantation museum in Edgard, Louisiana on Sunday, the first in the United States to focus exclusively on slavery. The visit was an emotional 180 after celebrating a very different kind of history the day before – my 30th High School Reunion. Almost every one of my former classmates mentioned my Duran Duran obsession and there was such a comfort in that – it’s good to be known. The Whitney was similarly affirming, acknowledging the work (and tragedies) of the enslaved people, largely unrecognized for two centuries. 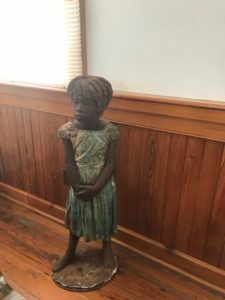 Statue of Ceceil George who was born into slavery. 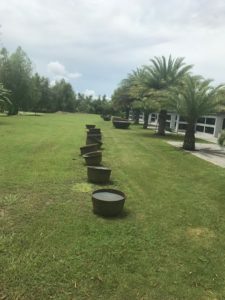 Drums used for making sugar cane into sugar. Slave quarters at Whitney Plantation. 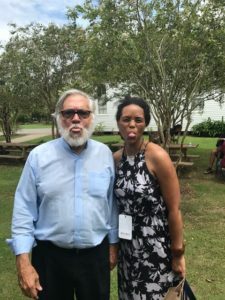 A silly moment with Whitney Plantation’s owner, John Cummings after we visited one of the museum’s more somber exhibits. 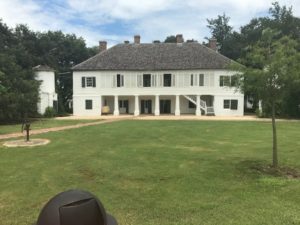 “The Big House,” where the slave owners lived with their family. Hello Dionne a quick shout out to another creative with New Orleanian roots. Funny, but I just happened upon your information as I was checking out artists supported by the Sustainable Arts Foundadation. I am a visual artist, but our work shares a connection to exploring race and heritage. 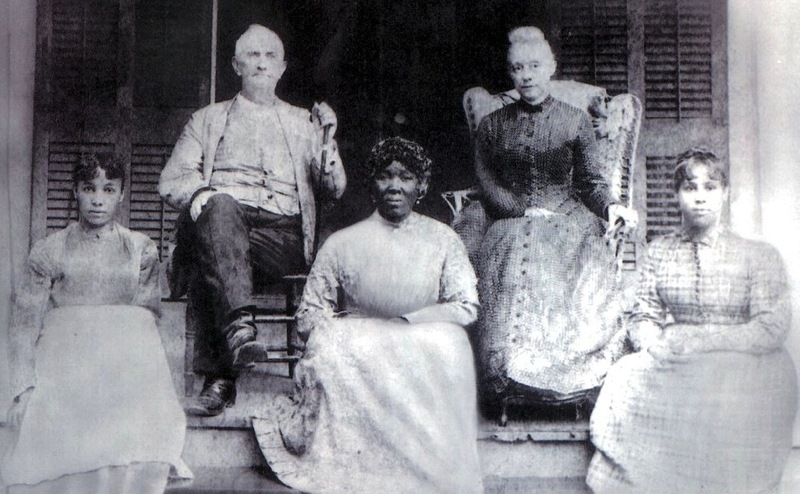 I had to reach out because the Whitney Plantation was a revelation for me and my family as well. We visited last year. I noticed you are piecing together family history from the 1850s. If New Orleans is part of your geography, I must point you toward the John Blassingame collection at Tulane University (if you haven’t already explored it) There are microfiche copies of hand written roll calls of Blacks and Creoles living in New Orleans in 1850, 1860 and 1870. I found long sought information about my own family there. Reviewing the wills in the collection was also a rich experience, documenting relationships and thorough inventories of property–fascinating. If you would ever like to compare notes on the experience of unearthing mixed ancestry and how that compels action as a creative and as a parent trying to raise children who are whole, please do reach out.